24 April 2017. An experimental drug made from dried Artemisia annua plant leaves cured patients in Africa with malaria infections that became resistant to current drugs. Researchers from Worcester Polytechnic Institute in Massachusetts describe the drug and their findings in the 14 April issue of the journal Phytomedicine (paid subscription required). The Worcester Tech team led by plant scientist Pamela Weathers is seeking new methods for overcoming a growing resistance to artemisinin, a first-line treatment for uncomplicated malaria. The drug works by reducing the parasite load in the blood during the first 3 days of treatment, while companion drugs remove remaining parasites. For a solution, the researchers turned to the source of artemisinin itself, the Artemisia annua plant, used for centuries as an herbal treatment for a range of disorders, and often brewed in tea. 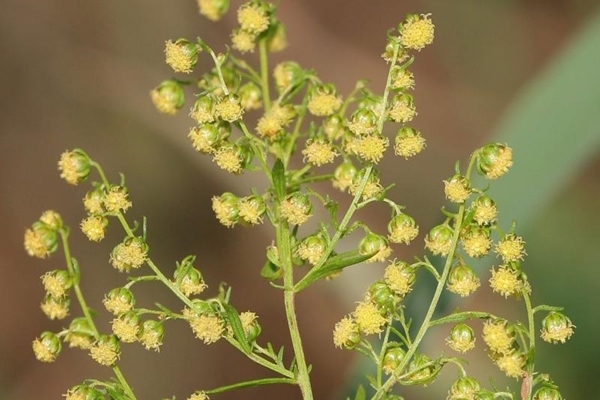 In an earlier study, Weathers and colleagues demonstrated that dried leaves from Artemisia annua plants could deliver 40 times more artemisinin to the blood than conventional drugs that extract chemicals from the plant. Later research show dried Artemisia annua leaves with anti-malarial properties, reducing plasmodium parasite infections and curing lab mice induced with drug-resistant malaria. Another study demonstrates continued efficacy of the dried plant leaves against parasite resistance in as many as 49 later generations of mice. The new report describes a case at a rural clinic in Democratic Republic of the Congo, where 18 individuals, both children and adults, were not responding to treatments and developing serious symptoms from their advanced cases of malaria because of parasites’ resistance to current drugs. Those conventional treatments included Coartem, an artemisinin combination therapy, and artesunate, an artemisinin product given intravenously for severe cases. As a last resort, the clinic physicians turned to tablets made from dried Artemisia annua leaves, given to the patients twice a day for 5 days, with the doctors evaluating patients’ symptoms and parasite levels in their blood. All of the individuals, say the researchers, fully recovered as a result of the treatments. The university filed for a patent on the process of deriving anti-parasitic drugs from dried Artemisia annua leaves. In the following video, Weathers and colleagues tell more about and demonstrate this process.